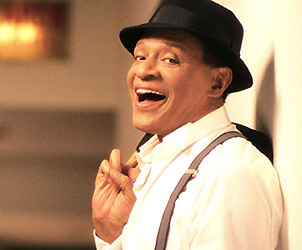 When I heard that Al Jarreau had passed away, I was devastated. I recall, in the ’80’s, as an undergrad in college, I was truly in love with his music. I bought every album that he recorded during those years; he is a timeless musician. May he forever reign in his “roof garden” because I do believe that “we’re in this love together”- if only ‘we’ behaved as such. Life is too short! Thanks for the tribute. He was such a gifted man! All that I/we have witnessed, experienced and have heard tell of confirms my belief that-life is a gift, not a given! He left an indelible mark in my life and many others, too. Music!! !